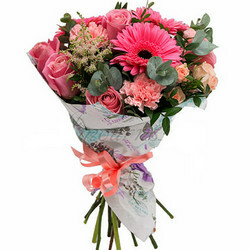 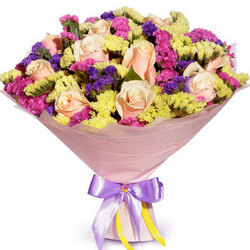 A real fireworks of bright summer colors will decorate an ordinary day and give only positive emotions to your recipient! 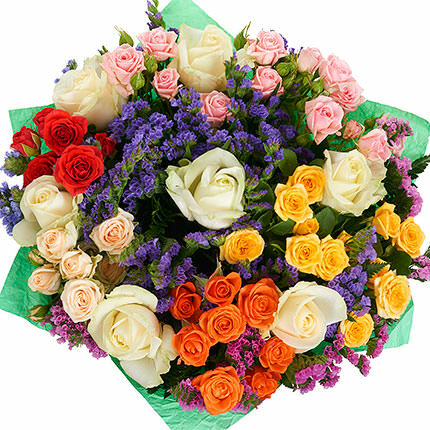 Composition: 7 white roses, 6 branches of multicoloured spray roses, wildflowers, greenery, decoration. 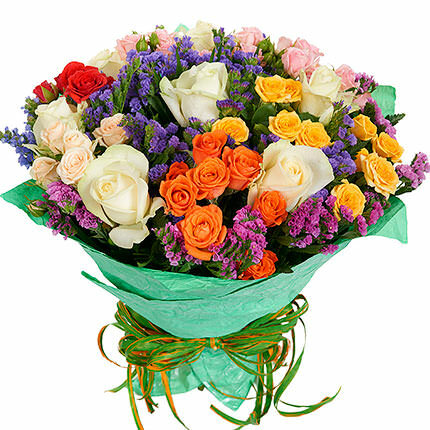 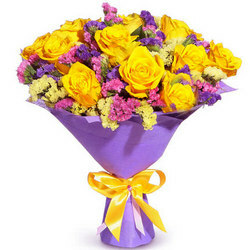 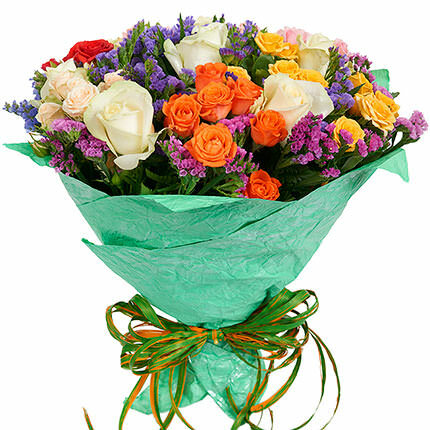 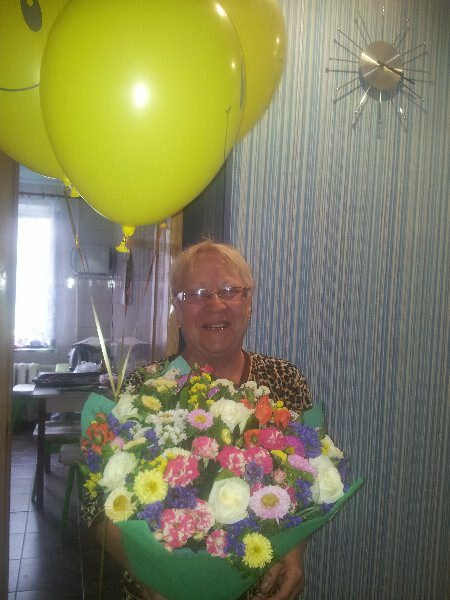 20032019 © Flowers.ua Bouquet "Salute!"